It’s the dawn of the Iron war, and you’re in charge of a war train. Your task is to complete two missions of delivery and pickup, while avoiding enemy fire and destroying their weapons. Once you complete your missions, bigger and better trains will be at your disposal. Note: See below game for instructions and tips. Instructions: Use your mouse to set up your train and control its movement. Be sure you’ve got enough Cash and Load (carrying power) for the upgrades you choose. Once you set up your train, you can enter the game. Keep an eye on your damage meter, fuel meter, and speed control as you go through the game. 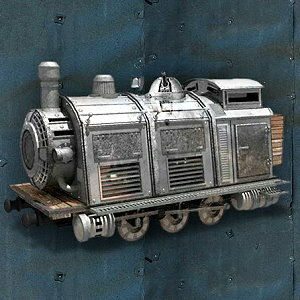 Detailed descriptions of your wagons (train cars), weapons and enemies are available using the in-game instructions.